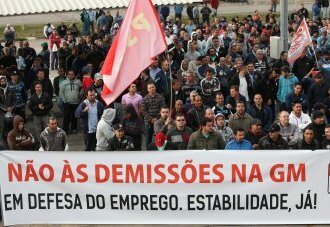 More than four thousand autoworkers approved, at a assembly on this Monday, the 24th, the proposal agreement which leads to the cancellation of the 798 dismissals planed by General Motors in São José dos Campos. 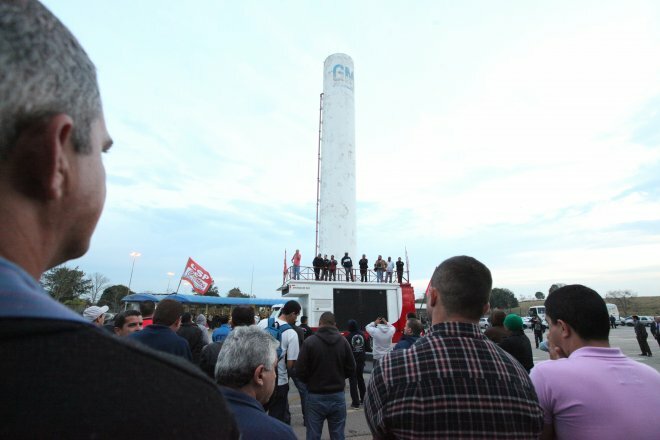 With the approval, the workers put an end to a historic strike that lasted 12 days, one of the biggest which occurred at the factory for the last 20 years. The agreement provides that all workers who had been dismissed are included in a Temporary Lay-off (temporary suspension of employment contracts) for five months. When they return, if there are dismissals, they will receive four nominal wages as severance payment. If the employee who was suspended from work through the Temporary Lay-off prefers, he/she can be dismissed from the company’s staff in advance, then receiving the amount related to the five-month lay-off (portion which is the company’s responsibility) plus the four-month severance payment. GM will also open a Voluntary Dismissal Program (PDV), and the number of workers adhering to the program should be deducted from the number of excess workers considered by the company. The automaker is committed to make no retaliation against strikers. The strike days will not be discounted wages. Half of them will be paid for by GM and the other half will be offset by the workers. The automaker had dismissed 798 workers, by telegram on August 8th. The layoff has led metalworkers to set off an indefinite strike to pressure the company to open negotiations and cancel the dismissals. The Trade Union has also begun a wide campaign aiming at the safeguarding of employment summoning the federal, state and municipal governments to intervene in the matter, at GM, so that the dismissals were canceled. The Union will carry on the fight so that President Dilma Rousseff signs a provisional measure ensuring employment stability for all workers. "Brazilian workers need is employment stability, to reduce working week to 36 hours, prohibition of profits remittance abroad and nationalization of companies that dismiss workers. The struggle of the metalworkers of São José dos Campos is an example for workers of all automakers. We also would like to thank the international solidarity we received during our strike", said the president of the Union, Antonio Ferreira de Barros.